Mike Gabriel, owner of North Lake Central Vacuum, has been a Louisiana State Licensed Home Builder since early 2005. He was elected to serve on the Board of Directors for the St. Tammany Parish Home Builders Association for four years. As a Director, Mike developed a thorough knowledge of the building industry, providing the ability to identify homeowners’ needs. Realizing the benefits of a central vacuum system, he started installing them as a standard feature in several speculative homes. We understand that the health of your family and employees is important to you, and that is why it is our pleasure to install the best central vacuum equipment on the market today from the industry leader, MD Manufacturing. 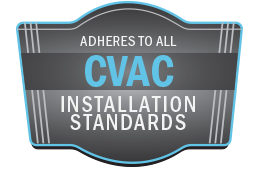 We specialize in both new and existing home installation, as well as upgrading your existing central vacuum system. We are also capable of servicing most brands of central vac systems. We are committed to providing our clients with honest, quality workmanship. We rely on word-of-mouth referrals, and customer satisfaction is our top priority. Why North Lake Central Vacuum? North Lake Central Vacuum, your one-stop source for all your central vacuum needs!